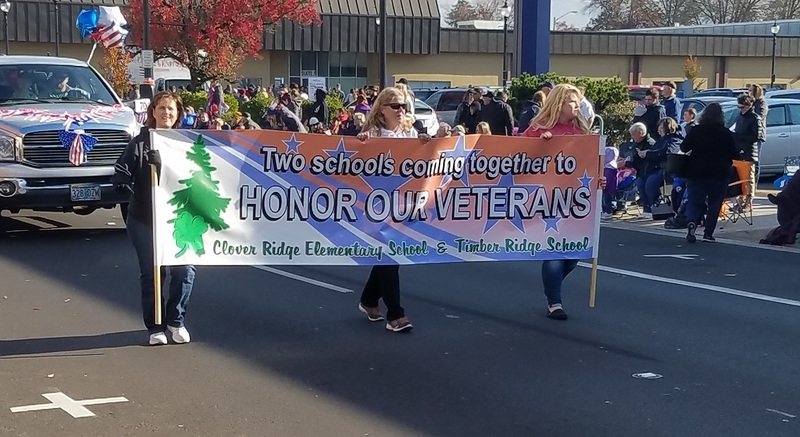 For the fourth year in a row students, staff and family members from both Clover Ridge and Timber Ridge joined forces to participate in the annual Albany Veterans Day Parade, honoring those who have served. 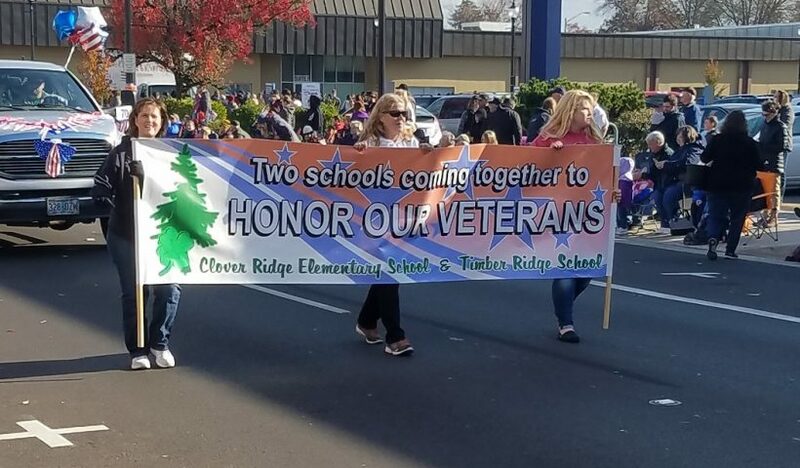 Riding the float is open to any student or staff member from both schools, and they are encouraged to involve family, especially those who are veterans. The Ridges entry includes a truck pulling a flat bed for riders, and several participants walking behind the float as well. Students and staff alike look forward to the event each year, and we are grateful to be able as a community to support and honor our veterans!